With its ability to let you fabricate real-world objects at the push of a button, it’s easy to imagine 3D printing setting the world on fire. 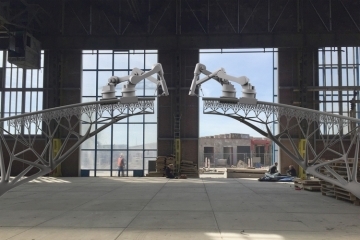 In reality, though, 3D printing remains a relatively small niche, with most desktop units finding their ways into offices, workshops, and schools rather than your average home. 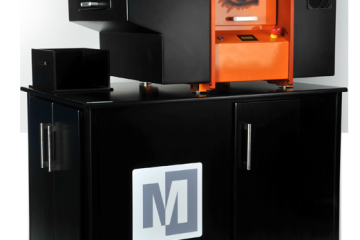 With their latest 3D printer, Obsidian, Kodama is hoping to help change that. According to Kodama, they found most cheap printers on the market a little too complicated to use, making them quite difficult to work with for novice users. Expensive 3D printers, on the other hand, required too much of an initial investment, especially for something that most people wouldn’t consider a must-have in their day-to-day lives. This one, on the other hand, combines accessibility with a very low price. Despite being a budget 3D printer, the Kodama Obsidian comes fully assembled, so there’s no kit that you’ll have to put together piece by piece. That means, there’s no building process that you’ll most likely mess up, so you get a rig that’s ready to go out of the box. Seriously, just plug the it to an outlet, load the filament, hook it up to a PC, and get cracking. It comes with a build area measuring 4.7 inches on all sides, so you can fabricate reasonably big objects with this thing, while LEDs inside the build area allow you to clearly see what’s going on at any time. Of course, to get the price down really low, they had to remove plenty of the usual accoutrements of desktop 3D printers. That includes a heated bed, which is essential for printing ABS, nylon, and other types of plastics. As such, you’re stuck with printing using PLA, which, if you’re getting into 3D printing for the first time, should be just perfectly fine. Do note, you can buy a heated build area from Kodama separately, so it’s something you can upgrade to if you ever decide to take your 3D printing projects to the next level. Aside from the lack of a heated bed, there’s also no onboard touchscreen, so you’ll have to operate the machine via less straightforward means. There’s also no webcam inside the build area, so you won’t be able to check in on your fabrication sessions remotely. Lastly, there’s no way to recover fabrication projects after a power outage, so you’ll have to discard what’s already been created and start out anew. If you can live with those omissions, then this just might be the perfect starter 3D printer for your setup. As for build quality, Kodama claims their erstwhile affordable printer can crank out objects with the same precision as most $1,000 3D printers. It’s quite the lofty claim, so we’ll have to see a unit in action to actually decide. The printer itself measures 10.6 x 11.4 x 12.2 inches, with a weight of 12.1 pounds. A Kickstarter campaign is currently running for the Kodama Obsidian. You can reserve a unit for pledges starting at $99. Let’s take an in-depth look at this budget friendly 3D printer from Kodama to see how different it is from other low-cost 3D printers in the market. Company Background and Profile – The company Kodama has recently stepped into the world of 3D printer manufacturing. Kodama is based in San Francisco, the research and work for their products take place at their Shanghai research and development office. The manufacturing bit takes place in China in order to keep the costs of the product low. Kodama consists of several experienced professionals some of which have worked for some of the largest brands in the world including Apple, Bosch, and Porsche. Michael Husmann the founder and CEO of Kodamahimself is a former project manager at Apple with years of experience. They are using crowdfunding sources in order to fund their products and make the cheap yet high-quality 3D printing dream of everyone become a reality. 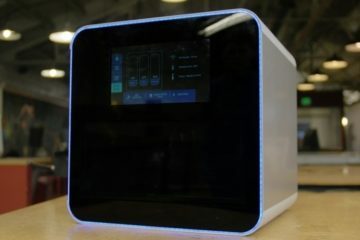 Build Quality and Design of the Obsidian – The build quality of this 3D printer is unlike any other cheap 3D printer on the market.According to Kodama, all the internal and mechanical parts were made under the leadership of an ex Bosch who had ample amount of experience in the field of 3D printing. The quality Control and Electronics were completed with some help from an experienced Singapore based Engineer. The product weighs in at a respectable 5.5kg and comes with the dimensions of 27x29x31cm. The overall design of the product is quite attractive. In thecase of this printer, form follows the function. At the front, you can find an LCD display and bearing spool holder. Inside you can find the common parts that make 3D printers work such as heated bed and nozzle. In thecase of this offering, you can also find a Camera Inside. Features – Despite the low price, the device is filled with technology. Even on the mid-range variant, that costs you about 149$, you get an LCD display that displays useful information and allows you to control certain operations of the system. If you opt for a more premium variant, you also get access to features such as a Smart LCD screen powered by Android and a built in camera. On the Obsidian Plus and Deluxe models, you also have access to a power-outage recovery feature. This feature is very useful as most 3D prints take multiple hours to complete and no one likes a print failure at 90% completion. With the Obsidian, if your device accidentally gets disconnected, you can easily resume the printing process by reconnecting it and tapping on resume on the LCD display. Another feature that sets it apart from all other cheap 3D printers is its custom made extruder head. Thanks to a dual fan setup, you can control the temperature of the heat block and the model that you are printing in a more efficient manner. The nozzle and PTFE tube of this item are connected. This allows for easy replacement of the nozzle as you can replace the nozzle by just loosening up a screw. Setup and Working – Setting up this 3D printer is a breeze. The Kodama Obsidian is a plug and play device. It requires no complex setup and you can just connect it to your computer whenever you want to use it. The printer has a print volume of 120x120x120mm, minimum resolution of 50 and layer height of 50-350 microns. This offering from KODAMA works by making use of Fused Deposition Modelling. This is the most common form of 3D printing. 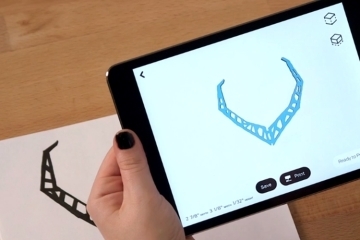 This technology makes use of a thing string of solid material known as afilament for 3D printing. On the side of the printer, you can find a reel that holds the material. The filament from the reel is guided to a heated nozzle that melts it in order to make the required shape. Once melted, the filament can be used to make any shape of your liking by making use of software on your computer. The material solidifies instantly as it forms a layer on the predefined path that is used for printing. Each layer acts as a base for the next layer until the complete 3D printing process is completed. The great thing about this specific 3D printer is that it can be bought with an onboard camera. The onboard camera can record your motion thus allowing you to replicate your work in future if required. This form of printing makes use of general plastics. However, Kodama allows you to opt for an upgraded heated bed that allows you to print nylon, ABS, and even carbon fiber. This makes the Obsidian a great tool for making prototypes and models with high levels of detail. Ad-dons and upgrades – Kodama also provides multiple upgrades and Add ons to its users. You can get an Aluminium Heated bed for an extra 40$. For an extra 60$, you can get a three-piece casing for your printer that makes it much safer and rugged. The base version of Obsidian will set you back 99$ and it comes with just a basic set of features that allow it to produce 3D prints. The plus package priced in at 149$ adds 400g of thefilament to the package, USB/SD slot and includes an LCD screen for controlling different operations of the printer as well. The deluxe package is where the things get interesting, for a mere 249$, you get a ton of features never before seen in a 3D printer in this price range. It packs a camera that can record your actions and this allows you to replicate your models if required in the future. You also get a heated bed and an android/IOS application with this package. The most interesting feature in this package is the smart LCD. The smart LCD measures in at about 3.5in and support capacitive touch. A Quad Core arm processor and 2GB of Ram power it.The OS powering the display is Android. This allows for fast operation of the display, real time monitoring and control via companion application. Are cheap 3D printers like this worth a go? In recent years, 3D printers have evolved quite a bit. They have reached a point at which they are stable for usage even in homes for small projects. Just a few years back, you could only find these premium features in 3D printers worth thousands of dollars, now you can find such features in a printer that starts at just 99$. It is amazing to see how much the manufacturer has been able to cram into such a tiny and budget friendly package. Manufacturers like Kodama areraising the bar for affordable 3D printers higher with each new product of theirs. 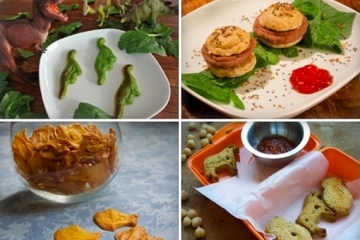 Thanks to technological advancements,there are new 3D printers coming out every day. This results in a healthy competition that is great for consumers as they get more choice and better products as competitors try to one up each other by offering many unique features. The low price point of these 3D printers is attracting more and more people to the world of 3D printing. The Kodama Obsidian manages to balance price and performance quite well unlike most other low-cost 3D printers available nowadays. The plug and play nature of the Obsidian is another key selling feature that makes it a great buy for beginners.This device is a great starting and testing ground for people who want to experience 3D printing. Those who want more can opt for the more premium variants of the Obsidian as well. The Kodama Obsidian offers something for everyone. I’m actually surprised that the 3D printer industry is still relatively small, but I guess pricing can be an issue for many – although I believe I’ve seen starter products in the $100-$150 range. 😀 I really like that this is assembled. No problem operating it manually – considering again that this product too is only $99.00 – nice! Why can’t it recover projects or fabrications if the power goes out? Would like to have seen an internal-memory included with this product, or at least ability to load in your own SD card. Overall though, very nice product! 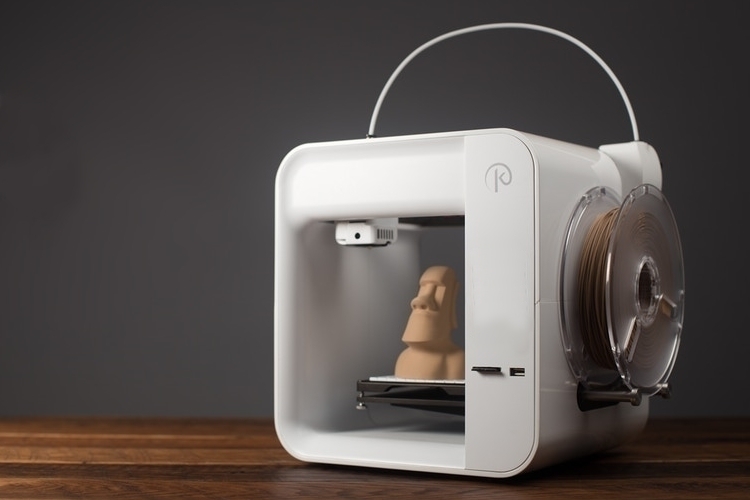 As prices become lower, you will see even more 3D printers used in the home. The 3D printing business is not just home hobbyists and small business though, it is also gaining a lot of use among all segments, including military use. The military use of 3D printing technology is what I personally find to be the most fascinating. During the Second Gulf War the military rapidly realized that the Humvees could not withstand an Improvised Explosive Device(IED). The enemy forces also realize that our military Humvees vehicles were very vulnerable to IED’s. It took the military almost 14 months to upgrade their Humvees to withstand a lot more from an IED blast. During this 14 months, we lost a lot of military members to IEDs. We HAD to keep the Humvees going, even though it was extremely dangerous. It took 14 months, over a year, to sufficiently protect the Humvees and the military members who used them. In today’s World, if a similar situation was to happen, the military could use 3D printers to outfit the Hummers much faster than a traditional manufacturing and procurement system. In today’s World, 3D printing at Forward Operation Bases (FOB) is becoming more common and will eventually be standard operating equipment. A lot of the transportation vehicles and war vehicles were grounded because the military could not get the parts they needed for repairs. Many people died needlessly because of this, but fortunately the military is rapidly growing the use of 3D printing so they can avoid this sitation as much as possible in future conflicts. During the First Gulf War, most of the Apache Helicopters were grounded. The unforeseen problem was sand entering the fans in the helicopter. Simple little sand was enough to make to Worlds best fighter helicopter to be worthless. The Apache was often used to take out enemy tanks, but instead of killing enemies, they sat grounded as the military struggled to get the parts they needed for a fix. The military mechanics knew how to fix it, but they couldn;t get the parts. Again, 3D printing would have had the Apaches back in the sky protecting American in no time flat. Rapid procurement of parts for unforeseen situations is one of out militaries greatest weaknesses. With 3D printing, no longer do we need factories to slowly make stuff and then ship it. There is not the time for that during a war, so instead 3D printing will allow the military to have a fabrication shop anywhere they want, including at FOB’s in remote and rural deserts overseas. 3D printing fab shops have already been set up and used in Afghanistan, but with the technology becoming more readily available, the military to its credit has been rapidly increasing integration so we can rely much less on traditional supply chains. One of the ways one of the 3D military fab shop setups in Afghanistan was able to “rescue the day,” was when there was a problem with the 249 SAW. The bipod attachment had a flaw that would force the soldiers and Marines to physically pick up the gun to reposition it for horizontal movement. A new bipod attachment was rapidly designed and then a 3D printed bipod attachment was tested. It worked great, so the military had them made up of metal. Problem solved, American Military lives saved, and enemies killed. With today’s 3D printing, the military will get the first stab at all new technologies. In the near future, I would not be surprised if American Military members 3D printed their own weapons. 3D printing is not just for military land use during times fo War though, the Navy also wants to put 3D printer on each ship. Parts are limited because of available space, so depending on what goes wrong, it could render the ship either totally unusable or at least greatly slow down its efforts until they can get another ship or helicopter to pick up and deliver the parts it needs if it is even available. 3D printing could render parts shortages a relic of the past. Other Countries are hopping on to integrating 3D printing into their militaries too. 3D printing technology will be innovated at a much faster rate now with so much military use, and some fo that technology will trickle down into the consumer grade 3D printers we common people will use. The Army, Marine Corps, Air Force, Navy and even the Coast Guard are using 3D technology as well as growing it at a faster rate than was even predicted just a few short years ago. The neatest, and scariest, development to come out of the military lately is the laser gun. They actually successfully tested a laser gun that was mounted on an Apache helicopter just last month. The laser gun is what they call a directed energy weapon. It is deisnged to shoot out a laser beam and destroy the communications equiment of enemy combatants. The laser is about the same width as a penny, and can be effective at over 6 miles away. This is great technology for us to have, but once our enemies develip this laser gun technology it will be real scary. In another 20 years we may have much less ground troops than ever before, even if a major coknfict happens, because technoloically advanced weapons are coming into actual testing and use so fast. I wonder if the military would be able to 3D print thedireted energy weapons? I am sure the glass used isn;’t possible to make in the field yet, but if 3D prinint optics was possible it could be a viable solution. Is there a way to edit your comments? I hit the enter key by accident before I could spell check. I read about those “laser guns.” It is scary to me. Yes it is good we have this and can disable the communications equipment of our enemies, but what happens when our enemies get the same technology. What is even scarier is the future. We will be developing futuristic weapons at such a fast rate that eventually something will eradicate mankind other than nuclear weapons. We might only be 30-50 years away from this happening. We need to figure out how to better ensure the survival of our species by promoting and developing peace in the World as much as possible. Kodama was successful with their last 3D printer project on Kickstarter, so I have total faith that this one will be delivered to early funders as expected. The Obsidian is $99, which is a good way to get an introduction to 3D printing, but the Obsidian Deluxe at $249 is the much better value, even though it costs more. What is the best thing about this 3D printer is yu just plug it in like a regular HP Printer that you already use. Obsidian will help many people get involved in 3D printing for the first time ever. Imagine a family night where you design some cool figurines, and then print them in your computer room, and then actually play with them. Obsidian could help get many youngsters interested in a future STEM-related career path. The Obsidian Deluxe records time lapses of the process, so you can go into work and check in periodically on your phone app to see how far along the project is. I am interested in recording these time lapses and putting them on Youtube. Although I don’t own a 3D printer yet, I would like to see the timelapses shared on Youtube or Facebook video because I find the process to be so interesting. Once the Obsidian Deluxe printer is being sold regularly off of Kickstarter, it could be like GoPro action cams where people see videos made with it and get excited and buy one for themselves. I give Obsidian huge credit for making the plug-in and you are ready to go simplicity of this. The plug-in and go like a regular printer will force other 3D printers to simplify the setup of their printers too. They have nothing t hide with this product. Unlike some other Kickstarter projects where the final product is technically an early Beta release, The Obsidian has already had a lot of prototypes manufacturers and sent out to tech reviewers to get their honest feedback. Improvements have been made from their feedback. If you order an Obsidian you will be getting a true release, and not a buggy beta test release model like other Kickstarters have done before. 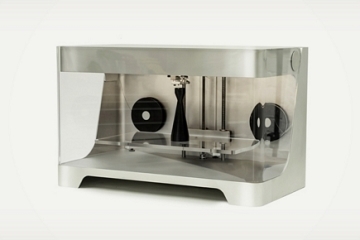 At just over 12 pounds, this 3D printer looks like you could travel with it. You could easily take this to the office to show off how it works and then carry back out to your car to take back home. I am really surprised at how compact and light this 3D printer is, especially looking at all the features it packs. The firmware looks like they designed it to easily push out updates. That’s a good thing. Kind fo sad though that the Obsidian firmware updates will be available faster and adopted at a percentage much higher than the firmware updates of many Android phones. I am not real familiar with 3D printers, so I don’t fully understand what the heated bed is for. Does the 3D printer heated bed just allow you to work with different types of filaments? The heated bed will keep the plastic from warping. Warping occurs when the plastic cools down at an uneven rate. With the heated bed, the edges will cool down slower to match the rate of the rest of the plastic. The heated bed will allow you to have a much better final product. You can find videos on Youtube where they show what happens with and without a heated bed while 3D printing. If I had one of these Obsidian 3D printers, then I would make and sell fidget spinners. That would easily help to offset the low purchase price of one of these. Too bad the fidget spinner fad is coming to an end, but you would be able to jump on the next fad and make some money. My wife likes the idea of using a 3D printer for redecorating our house. She could print out all kinds of figurines and other items to help go along with whatever style she is going for. I am more the practical thinker when it comes to 3D printing. If I am working on something and don’t have the part I need, I can simply find a free 3D print pattern for what I need and then have my printer at home make it. I would need a 3D printer that could forge steel into objects such as sockets and screws.